Authorities arrested 31 people on Tuesday and Wednesday who are suspected of participating in the $50 million diamond robbery in Belgium last February, CTV reports. In a three-country sweep, police detained 24 people in Belgium, six in Switzerland and one in France that they believe are connected to the brazen theft at the Brussels airport. They also found many of the stolen gemstones, a lot of cash and a few luxury cars. The value of the recovered diamonds has not been released yet. 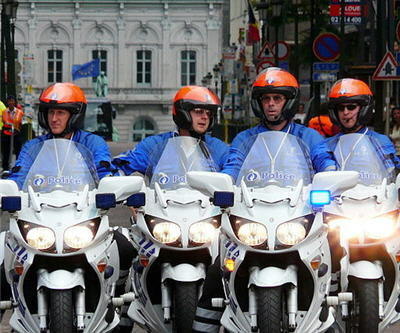 About 250 officers were involved in the operation around the Belgian capital alone. On Feb. 18, in less than five minutes, eight thieves dressed as police and brandishing machine guns robbed a Zurich-bound airplane loaded with Antwerp diamonds as it sat on the tarmac.